Step out of the shadows and let your creative style shine with this unique ring. 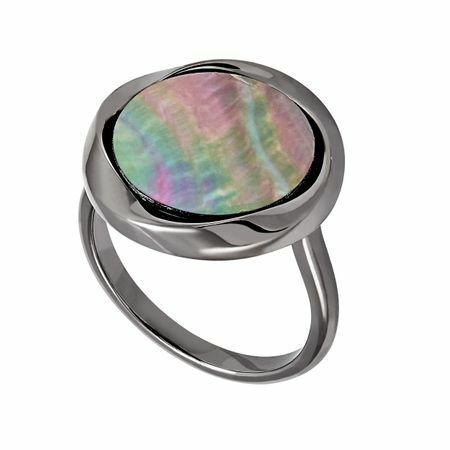 A natural black mother-of-pearl is set in a band of sleek sterling silver for demure shine. Ring face measures 11/16 by 11/16 inches.